What is a Da Form 2823? A fillable DA 2823 Form is completed by a member of the US Army. Also known as a Sworn Statement, it is a statement related to criminal activities that occurred within its organization. Like other sworn statements, this document includes the name and other personal information about the individual making the statement as well as detailed information about what happened. The person completing the statement must sign and date it. A DA Form 2823 is known as a Sworn Statement. It is used by the Department of the Army. 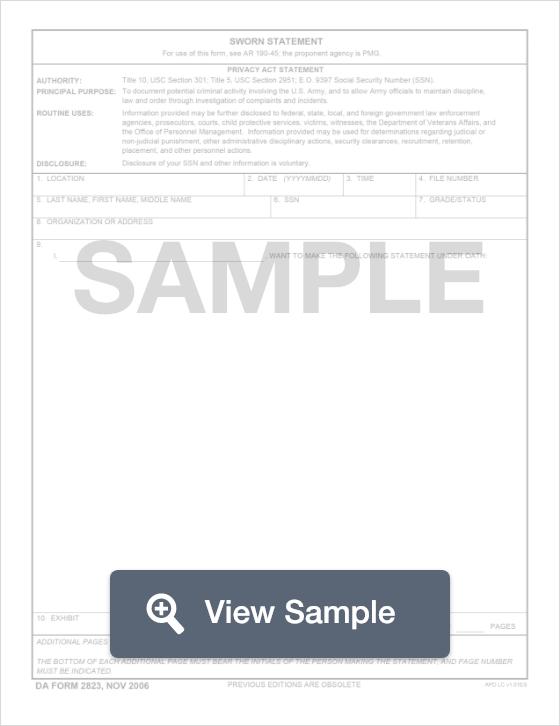 This form serves as a way to legally document a statement related to criminal activities or acts within the Armed Forces. It will protect all involved parties. The form will include the personal information of the person making the statement. Disclosing certain information like a social security number is voluntary. Then, the person can write their statement. This is a sworn statement that is legally binding. Lying on a sworn statement form can be punishable by law. After this form is completed, it must be signed by the person making the statement. It will also be signed by the person who gave the oath to the person making the statement. 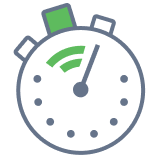 The time and date must be recorded on the DA Form 2823. Create a free Da Form 2823 in minutes with our professional document builder.